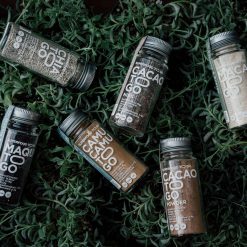 This set is for any cacao lover but also for those wanting to keep their bodies energized and lustrous throughout the day. 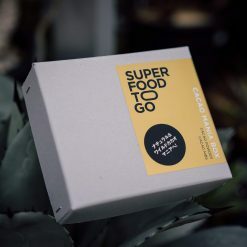 Cacao Mania Superfoods To Go contain cacao powder and cacao nibs which are made from organic Peruvian cacao beans. It has a pleasing fragrance and rich nutritional content, used to energize one’s body and raise its luster. During the Mayan and Aztec era, cacao beans were called the “Food Of The Gods” and only elite members of society were able to consume them. 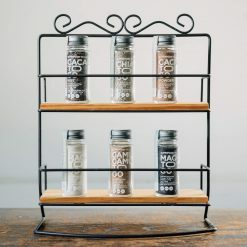 Famous as one of the natural superfoods, it contains a lot of magnesium. 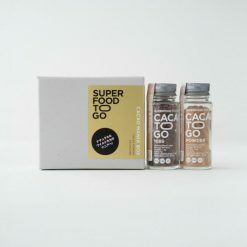 This set is for any cacao lover but also for those wanting to keep their bodies energized and lustrous throughout the day.